Ch. Blackjack Talladega's Flight of Fancy - "Emilia"
Emilia is shown winning a major handled by co-owner Jinny Rojas. Emilia's DPCA page and pedigree. 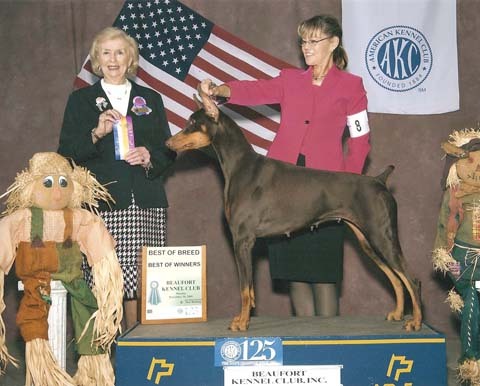 Emilia is shown taking one of her two back-to-back Best of Breeds over a top 10 special. 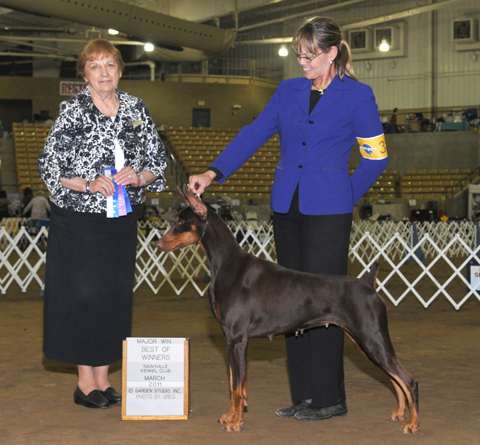 Emilia is owned by Dan Galligan, Jinny Rojas, and Susan Rochester.